Last Saturday night Stu and went to help Dawn, Jo and Lynda celebrate their joint 40th birthdays at a party at the Chapel Bar in Islington. 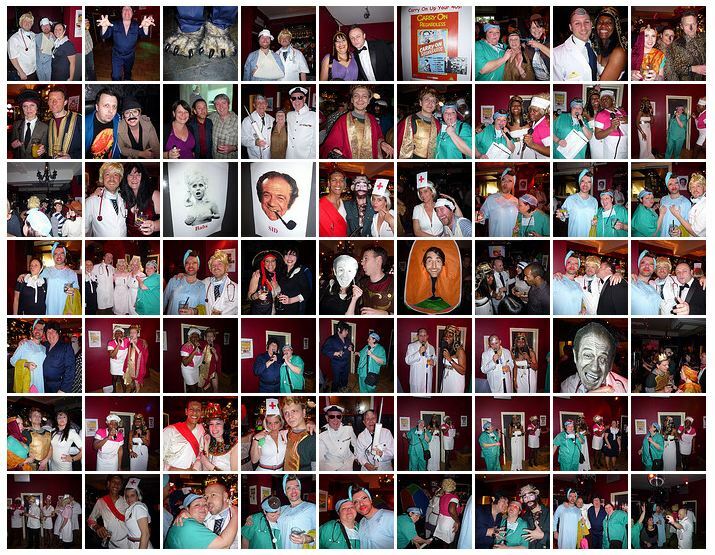 It was a fancy dress party with the theme being Carry On films. Stu went as a doctor and I went as a patient. It was great laugh. In fact we laughed and laughed all night. Stu's idea to take slide whistles was a brilliant one. More photos here.